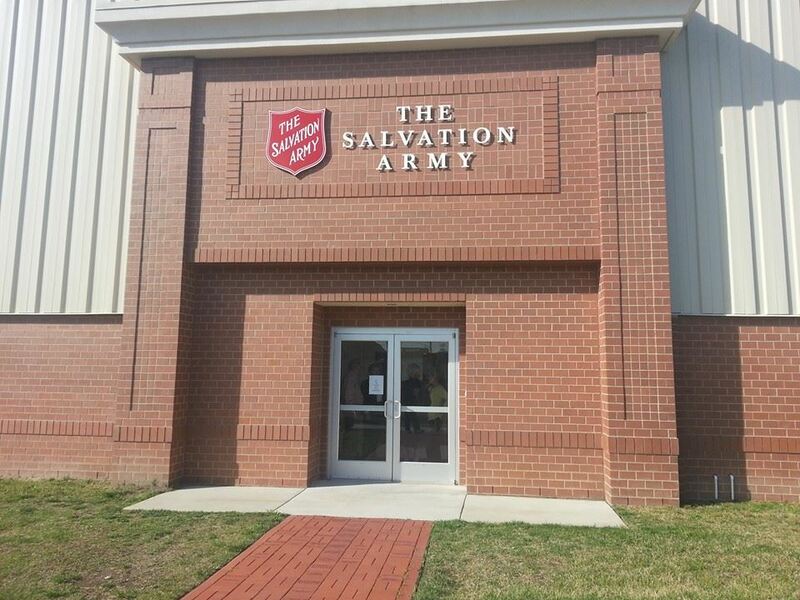 The National Capital Band (Bandmaster Dr. Steve Kellner) traveled to the southeastern Virginia city of Suffolk for a ministry weekend, 11 – 12 April 2015. A replacement for a different trip which had to be postponed, the weekend in Suffolk was arranged by Captain Jim Shiels, Suffolk corps officer, who plays euphonium in the band. The weekend began as the band arrived on Saturday afternoon, setting up in the corps’ gymnasium, which was furnished with the band formation and a number of tables for a “dinner theatre” feel for the evening concert. The concert opened with William Gordon’s Fanfare and Chorale on “Laudes Domini”, setting the tone for the evening – “May Jesus Christ be praised!” This was immediately followed by the audience joining with the band for the song “All Hail the Power of Jesus’ Name”, using an arrangement by William Himes as the accompaniment. After words of welcome from Captain Jim Shiels, the concert continued with Covenant (Bruce Broughton), with the message “There is a fountain filled with blood, drawn from Immanuel’s veins”. Next up was the first feature of the evening, the trombone solo River Quest, expertly played by the band’s principal trombone, Kevin Downing. This solo, commissioned by the soloist from composer Stephen Bulla, is based around the Appalachian spiritual “Down to the River to Pray”, familiar to many as being featured in the motion picture O Brother, Where Art Thou?. The festival march The Witness (William Himes) was followed by the Suffolk Corps Songsters and Singing Company, who presented Live the Truth and On a Day Like This. Next was another feature item – David Delany, David Mersiovsky and Chris Dennard exchanged their cornets for trumpets as they presented the trio Gabriel’s Trumpets, moving at high speed through the arrangement by Bandmaster Kellner. The band then reached into the big-band genre for Barrie Gott’s Light-Walk, featuring flügelhorn soloist Sarah Elliot. The highlight of the concert was the next item, where the members of the Suffolk Corps Youth Band joined with the National Capital Band for William Himes’ Muffins Rhapsody. Extended, encouraging applause followed this exciting moment for the young musicians. As Bandmaster Kellner pointed out, without beginner and youth groups, a band like the NCB could not exist. Major Andrew Kelly, executive officer of the National Capital Band, gave a devotional thought, leading into the concluding work for the evening. 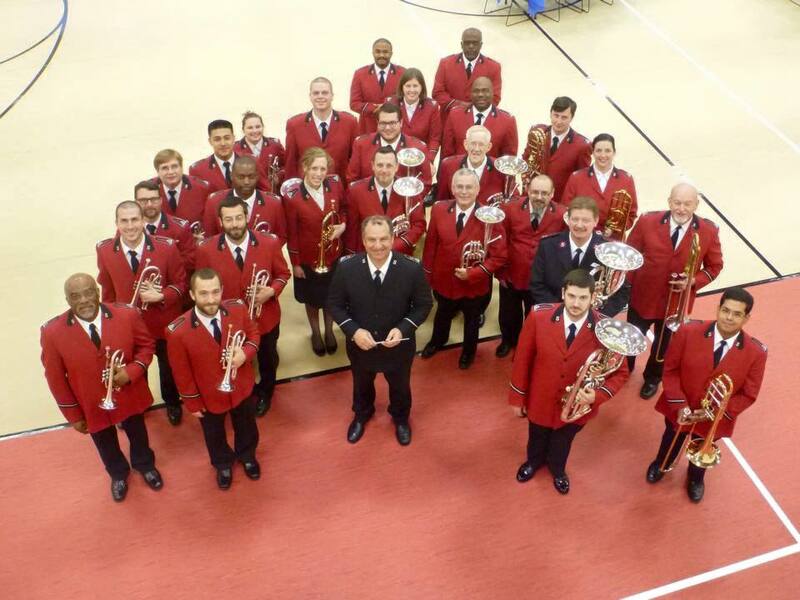 One of the most well-loved classics of Salvation Army brass band literature, Leslie Condon’s masterpiece, The Call of the Righteous, with its depiction of the final trumpet call when those in Christ are called to Heaven, showcased the band’s abilities while imparting a powerful message. On Sunday morning, the band returned to the corps building for Sunday School and the morning worship service. One of the distinctive things about the Suffolk Corps is its wide diversity. 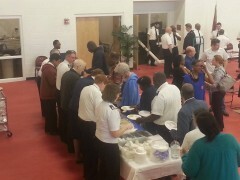 Attendees on Sunday included both leading area businessmen and homeless people. For the worship service, the band provided a short preliminary set and accompaniment for congregational singing. Band contributions to the meeting included Breathe on Me, Breath of God (James Curnow) and Fanfare and Chorale on “Laudes Domini” (William Gordon). The service ended on an upbeat note as all joined in the bright chorus “When I Remember That He Died for Me” and the band played the quick march Jubilee (Paul Drury) as a postlude. 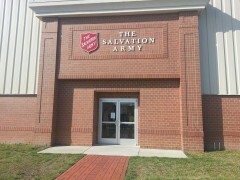 The morning meeting was followed by a community meal, provided free of charge by the Suffolk Corps. In a twist from the usual ministry weekend, members of the National Capital Band served the meal to the congregation, embodying the Salvation Army principle of serving everyone without discrimination and providing a meaningful message of service to those in attendance. This article was posted in News and tagged Andrew Kelly, Chris Dennard, concert, David Delaney, David Mersiovsky, Jim Shiels, Kevin Downing, ministry weekend, National Capital Band, Sarah Elliot, Steve Kellner, Suffolk, Suffolk Corps, Virginia, worship on 21 May 2015 .